This pendant lamp in a retro design not only serves as an eye-catcher in any room, regardless of whether it is used as a light source for bright general lighting or as dining table lighting, but also gives any ambience some vintage charm. 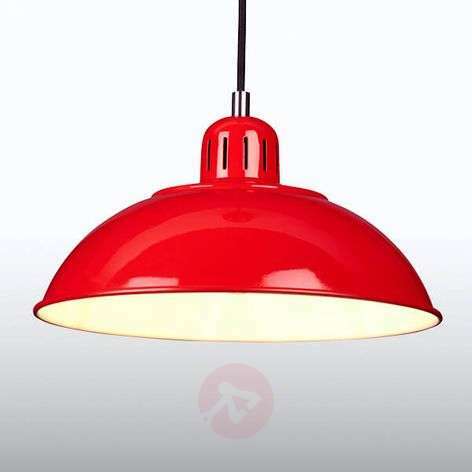 The outside of the metal lampshade is - just like the canopy - painted a warm bright red; the white inside of the lampshade ensures an optimum reflection of the light. 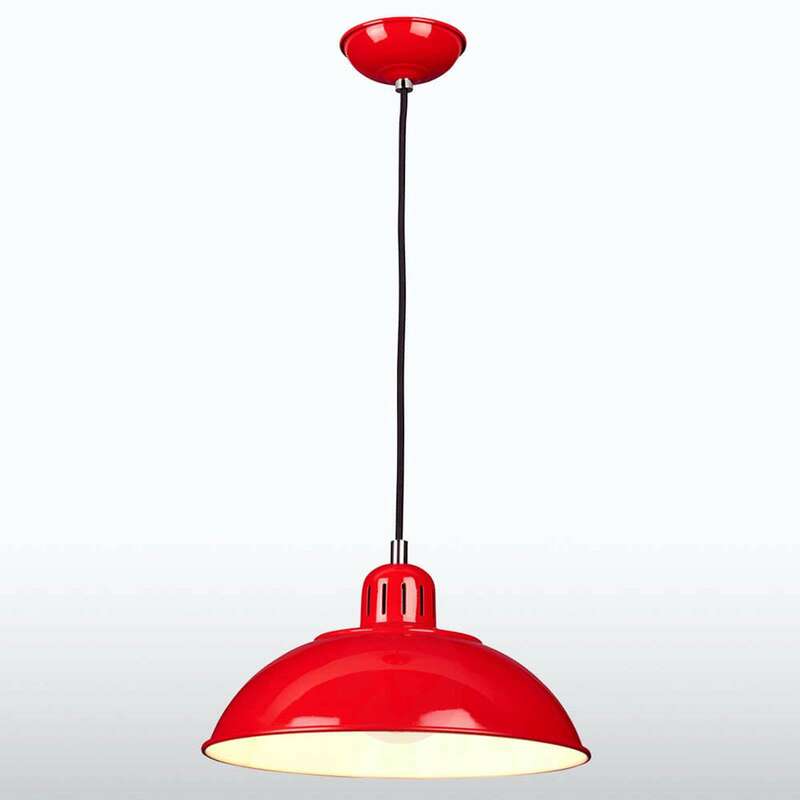 Franklin - a pendant light which allows a pleasant illumination in any room and provides a cheerful dash of colour.